Roli Dwivedi, MD, is a member of University of Minnesota Physicians and practices at the University of Minnesota Medical Center, in addition to the Community-University Health Care Center where she is a medical director. Most of her clinical practice and teaching is guided by mutual learning, reflective medicine, and empowerment and is centered on diversity, psychosocial issues, and cultural competency. She can provide insight into providing culturally-sensitive health care, Ramadan health outcomes, and reproductive health in different cultures. Dr. Dwivedi likes to develop and teach new and innovative models of clinical care. She has a strong background in leadership positions within family medicine. She has completed a faculty development fellowship and is currently finishing up a health equity leadership and mentoring fellowship. Her special interest in medical education drives her teaching and mentoring interactions with medical students and residents especially in culturally diverse population. 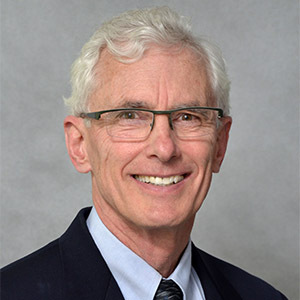 William Roberts, MD, is a professor in the Department of Family Medicine and Community Health. His medical interests are in sports medicine and he has a sub-specialty certificate in sports medicine. His research is in ice hockey and marathon related illness and injury. Roberts has authored many research and educational publications in sports medicine, and has presented nationally and internationally on sports medicine topics. Roberts is the medical director for the Twin Cities Marathon, the Chair of the Sports Medicine Advisory Committee for the Minnesota State High School League, and a member of the USA Soccer Cup Tournament Sports Medicine Advisory Committee.